3for5 Blog: Matt Damon Wants Your Help to Move Mountains! 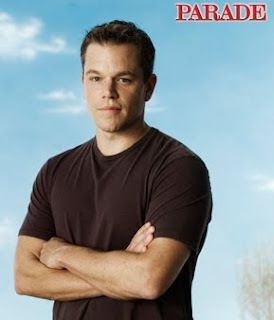 Matt Damon Wants Your Help to Move Mountains! "Here’s something that matters to me right now. Every 15 seconds, a child dies because of a lack of clean water and sanitation. I should probably repeat that: Every 15 seconds, a child dies because of a lack of clean water and sanitation". Matt's story is incredible, and not because he's a superstar or famous Oscar-winning screenplay writer. No, his story is amazing because at heart, Matt Damon is actually a regular person just like you and me. "I went to Tanzania a couple of years ago...I visited a clinic where a young woman came in with her horribly sick 5-month-old son. His eyes were rolling in his head, and I thought he would die in front of me. I was shocked. I asked the doctor, 'Is he going to be okay?' And the doctor said, 'Yes, we gave him the medication to reduce his fever.' Relief ran through my body, and I got this adrenaline rush. That’s a very cool feeling: hope". Second, Matt Damon acknowledges that helping people in need...saving people from literal death by providing them clean water when they can't otherwise get it...these are things that even superstars can't do on their own. Matt Damon recognizes that helping millions of children and billions of adults get something as simple as clean water will require the attention and efforts of millions of people who can do something to help: that's me and you (and Matt Damon, too!). "If you give $5 and talk to your neighbor about giving $5, that's a big deal. If that conversation goes on across the country, we'll really start moving some mountains." This is the essence of the 3for5 Movement...a united community of people who are willing to contribute a small amount of money ($5 is all it takes) and then engage friends, family, and community in a broader conversation to move mountains! Together, we can make a difference in the lives of people without clean water, but we need to work together to get there. 3for5 is a start, and there are countless other incredible initiatives with the same goal. To read Matt Damon's entire essay in Parade Magazine, click here. You can also read about Matt's trip to India with water.org CEO Gary White here. This story follows the July trip that Matt and Gary took to India to visit project sites and assess the progress of water.org's WaterCredit programs there.